Who has time to cook at home? If you can spare half an hour, you do! When you’ve had a long day at work, the thought of cooking might not be appealing at all. But with these easy recipes – which make clever use of everyday kitchen appliances – you can whip up a healthy and delicious meal in half an hour. Yes, that’s shorter than the average episode of a Korean drama. 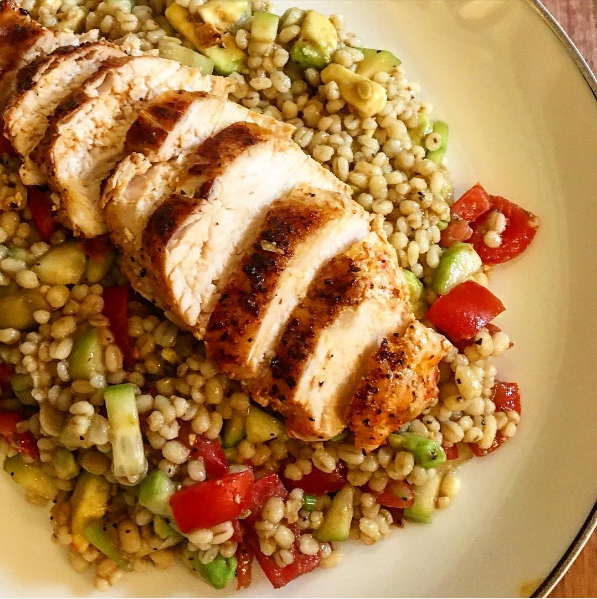 Quick and easy, this is a perfect dish for the start of the week. Marinate the meat overnight or in the morning, and simply pop it in the oven when you come back from work. Serve over a hearty salad. Wash and pat dry chicken. Combine garlic, thyme, honey, olive oil and pepper in a Ziploc bag large enough to hold the chicken. Add chicken to bag and leave in refrigerator to marinate (ideally 6-8 hours). Remove chicken from bag, add salt. Place on a baking paper or foil-lined baking tray, and bake for 20 minutes. When done, squeeze some lemon juice before serving. Ovens come in all shapes and sizes these days – just check out the huge variety available at Harvey Norman Millenia Walk Flagship Superstore. If you don’t have space for a conventional built-in oven, you can opt for the more compact and affordable electric version, or a multi-purpose appliance like this air fryer-oven hybrid. 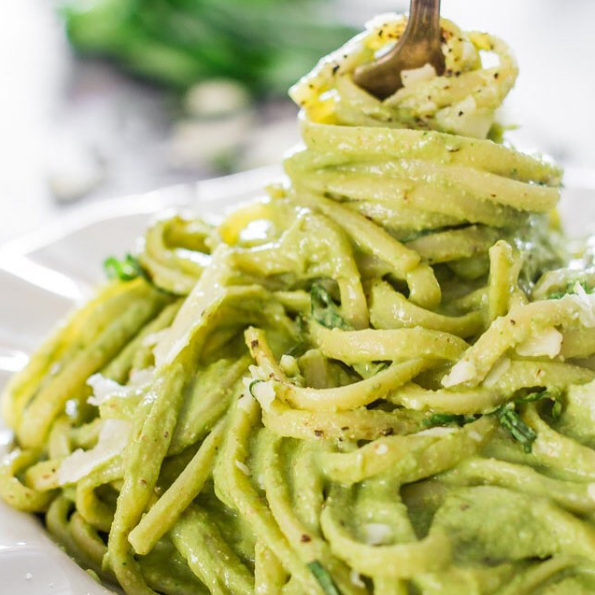 With this recipe, you can swap ready-made pasta sauce for an all-natural, homemade vegetarian sauce that’s a breeze to blitz up in a food processor. Cook pasta according to the instructions on the package. Drain well, but keep the water for use in sauce later. Combine rest of the ingredients in the food processor until it turns into a smooth sauce. Taste and add salt and pepper accordingly. Add water slowly – start with ¾ cup of pasta water and add more as needed to get the consistency you want. Toss the pasta with the sauce in a bowl, add the cherry tomatoes if using, grate parmesan cheese, drizzle olive oil and serve immediately. If you don’t have a food processor, the recipe also works well with a blender (just don’t over-blend). A versatile blender – like this model with different attachments for smoothies, shakes and even cocktails – gives you more bang for your buck. Did you know that you can easily poach salmon in the microwave oven? Salmon fillets are a great way to get omega-3 fatty acids and quality protein, and this recipe amps up the flavour with a spicy tom yam hit. Add in vegetables as you like. Place salmon skin side down in microwave-safe bowl. Rub some of the tom yam paste all around the salmon top and sides. Mix the rest of the paste with hot water and pour around the salmon. Place cherry tomatoes, enoki mushrooms and slices of pineapple (if using) around the fish. If using lemongrass and chilli, slice them and sprinkle onto salmon. Cover and microwave on high for 5 minutes, or until it’s done to your liking. Plate the salmon in a shallow bowl, and pour over the soup with all the ingredients. One last squeeze of lime and you’re ready. If you associate microwaves with dry, unevenly cooked dishes, perhaps it’s time to take a look at the latest models at Harvey Norman Millenia Walk Flagship Superstore. This impressive one monitors the moisture of your food, comes with a “deep fry” function, and can even ferment dough or yoghurt. 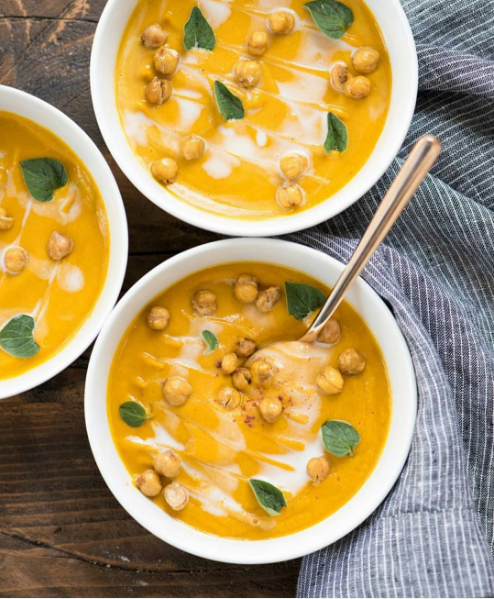 Boost the health quotient of a nourishing carrot and ginger soup by adding everyone’s favourite superfood, coconut. A blender easily transforms those chunky veggies into a smooth, comforting texture. Perfect for detoxing. Add olive oil to saucepan and heat on medium fire. Add onions, ginger and garlic, and sauté till onions are translucent and ginger and garlic have lost their raw fragrance. Add ground coriander and sauté until fragrant. Add fennel seeds and sauté for 20 seconds. Add the carrots and vegetable broth, and bring mixture to a boil. Reduce the heat and simmer until carrots are softened. Allow the soup to cool for 5 minutes. Pour soup into a blender and blend until smooth (or use an immersion blender). Transfer the blended soup to a pot. Heat the blended soup over medium fire. When warmed, stir in coconut milk. Taste and add salt if necessary. Remove from heat when you reach desired temperature of soup. Garnish with coconut flakes before serving. Hand blenders (sometimes known as immersion or wand mixers) can do some of the work of a conventional blender. Although generally less powerful, they can be very versatile, with attachments that you can use in other kitchen tasks such as baking. For more on what you can do with hand blenders, read Harvey Norman’s guide. This isn’t your typical rice dish. 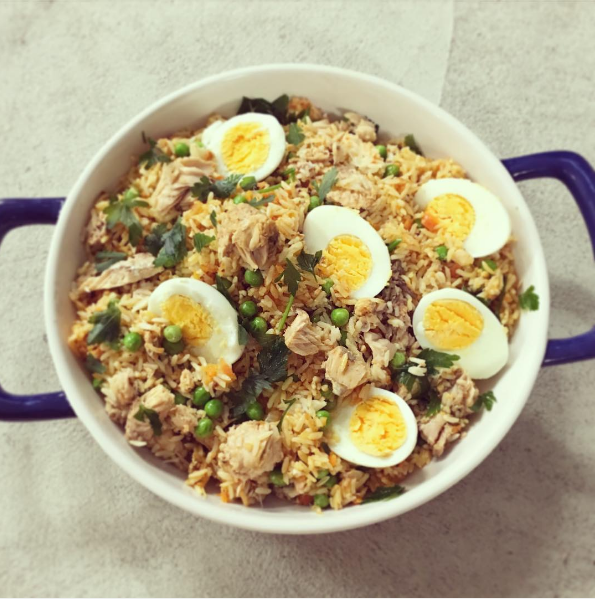 It’s a variation on kedgeree, a British favourite that had origins in Indian cuisine. It’s healthy and delicious, thanks to the smoked fish, veggies and tasty curry spices. Best of all, it’s not fried – you can cook it in the microwave oven. Place rice into a large microwavable container. Mix together the stock and paste. Pour over the rice, cover with cling film and pierce a few times with a fork. Microwave for 6 minutes on high. 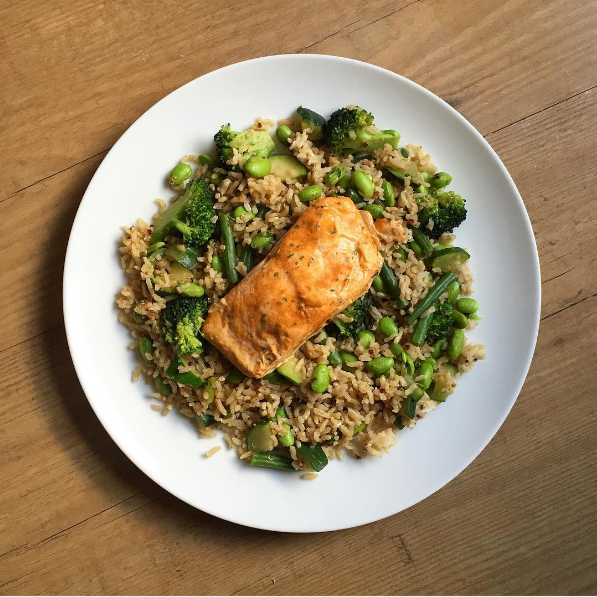 Break the mackerel or salmon into large chunks and stir through the rice along with the peas and sour cream, then microwave for 8 to 10 minutes more on medium until the rice is tender. During the cooking process, check if the rice is drying out – add hot water as necessary. Top with the eggs and sprinkle with the coriander before serving. Not keen on microwave cooking? This recipe can be easily adapted for a rice cooker or slow cooker. Be sure to add in the fish and vegetables at a later stage – when the rice is about 70% done – so as not to overcook them. When you’re tight on time but want to eat well, the right kitchen appliance can really help. You can find a comprehensive kitchen range at Harvey Norman Millenia Walk Flagship Superstore, which stocks over 50 brands of appliances, large and small. All recipes were tested by food critic Yasmeen Hameed-Chan. Yasmeen spent the past six years involved in a panel for top restaurant guides in Singapore. Her passion for good food extends into her own kitchen where she documents her appreciation for home cooking via her food blog – The Diva Eats Prata.